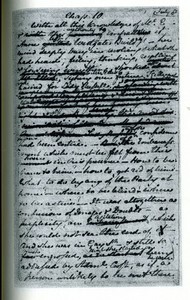 In middle March I wrote a blog-essay where I tried to work out what state I thought Austen’s different ms’s were in, some chronology for them, and then tried to ascertain what might have been the divisions of her novels in manuscript before her publishers’ printers got hold of them and either followed her or changed what she had sent in order to make her writing conform to published criteria set up to make money or be conventionally attractive to a wider readership. At that time I queried a couple of lists asking for books or essays which studied manuscripts and tried to explain underlying principles in the different types of ms’s. I got no texts that were useful, but a couple of the texts I was told of had in their bibliography lists of others texts and among these lists I found Donald Reiman’s The Study of Modern Manuscripts: Public, Confidential and Private, which was described in the body of the text as a rare study which differentiated between pre-modern (pre-1790s or pre-long 18th century) and modern (post French revolution) manuscripts. I obtained this book, have read and tonight want to recommend it and discuss Austen’s ms’s in the light of Reiman’s study. Reiman’s book covers all authors who left work in manuscript. I would not call this blog-posting Austen’s unpublished writing in context, except that I read Reiman’s book with an eye to understanding and finding some theory to explain my instinct that the way Austen’s ms’s are presented is, even with (a hero in Reiman’s book) often fall into misrepresentation because they are not printed to enable the reader to study them as ms’s. As the reader who goes over to glance at my middle March blog will see, I began this new project when I was asked to review The Later Manuscripts in the series called The Cambridge Edition of Jane Austen, this one edited by Janet Todd and Linda Bree, and it has set me thinking, returning to my project on Austen’s calendars where I tried to reach her work in ways so fundamental that I would enter her process of writing itself. What follows is my response to Reiman’s book: I summarize him in the light of what I know about manuscripts and Austen. I have studied early modern manuscripts: of Vittoria Colonna and Veronica Gambara’s poetry, of Anne Murray Halkett’s life-writing, of Anne Finch’s poems, and now I’m adding Jane Austen’s ms’s. I have had occasion to read about what’s left of Trollope. He did save some of his manuscripts even after they were published as book, and in particular (blest man) the complete untruncated version of The Duke’s Children, now about to be published by Stephen Amarnick. John Sutherland has studied some of these, most notably the ms for The Way We Live Now. Reiman is a well-known respected Romantic scholar, his specialty is PBShelley and he has studied the manuscripts left by PBShelley, Mary Shelley, Byron and their friends and associates. His The Study of Modern Manuscripts contains about 5 pages on Austen’s ms’s in one place and a couple of references in another. Basically he discusses the difference between pre-modern ms’s — medieval and Renaissance through early modern into the 18th century; with the modern period beginning right around Austen’s time. First of all, Reiman makes the important distinction of private, confidential and public manuscripts (as his subtitle suggests): who was the audience the writer thought of for his or her writing. He looks at the state of ms’s. Private ms: these are addressed to specific people, selected in advance, sometimes they are not intended for anyone but the writer. Marginalia. Personal communications. Diagnoses. Lawyer’s opinions to clients. Confidential or corporate ms: addressed to specific group of individuals all of whom are known to the writer or belong to pre-defined group who share communal values. You may expect the immediate recipient to show ms to others. Memos to partners in law firms, business, departments, readers’ reports. They may be written without regard to author’s reputation. It’s the social intentions of the writer that matter. The important difference between pre- and post-1790s ms’s in general is that after 1790 we find many more manuscripts of books which are published. Authors and their executors begin to save their ms’s, to value them, and there is suddenly a huge expansion of private and confidential ms’s. By private and confidential Reiman means autobiographical writing: letters, memoirs, life-writing of all sorts (autobiography, travel books). Before the eighteenth century many authors we now read did not publish their work by print at all; they allowed it to circulate in public manuscripts; it was not done to attribute the work to yourself, especially for a woman and aristocrats. When a work was published that showed you were trying to make money (that would be after the early modern period when the literary marketplace started to exist and expand) or gain fame (unseemly) or produce propaganda. People just did not have a positive view of writing or writers as wise people trying to help others. In the later 18th century still, when people did publish their works, they did not value the ms’s; the ms was regarded as say one would orange peels or something to discard and even when the author made a fair copy apart from the copy sent to the publisher, most of the time the ms’s does not survive. There are no specific pages on Austen in the section of Reiman’s book on ms’s before the later 18th century, but there are specific in the long section on confidential ms’s. Confidential ms’s are ms’s meant for a small audience, not just oneself (Boswell’s diaries and Fanny Burney’s) but much of iot not meant for a vast impersonal public. Mary Shelley becomes the first of a typical kind of person familiar to us today: she saved every scrap PBS ever wrote, whether she published it or not. So too Teresa Guiccioloi, Byron’s papers. This preservation of ms’s began in the 17th century but only spreads in the 19th; at the same time starting in the later 17th century published autobiography, books of letters, the invention of modern biography begins, the popularity of travel writing. In general Austen seems to belongs to the pre-1790s period in attitude. She often reflects the era before the romantic one; she is anti-romantic. The puzzling lack of any manuscripts of books which were published except the case of the two chapters of Persuasion is then explained by Reiman’s book. 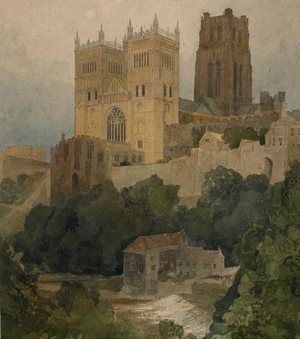 If we remember that in fact both Northanger Abbey and Persuasion were not published by Austen, and may represent an un-, or hastily finished truncated works (Persuasion), and or a work she was not satisfied with (NA), both of which were as yet not even titled for sure, the left over chapters of Persuasion don’t seem such an anomaly. Especially chapter 10, the where Anna visits the Crofts, is welcomed by the Admiral and Mrs Crofts, and finds herself in a room with Wentworth who then proceeds to propose marriage, be accepted and we get a kind of enigmatic response from Wentworth’s sister and brother-in-law which could suggest they knew for some time that Anne had been engaged to Wentworth previously. It’s a draft meant to be worked into some imagined final version of Persuasion which death cut Austen off from. So Austen is on the cusp. She was alive at the time of the the early years of the romantics and was writing personally every day it seems, and every 3-4 days sending off missives to Cassandra and others. This kind of life-writing was not done in the pre-1790s period in this way. Reiman describes the growth in interest in the personal and valuing the individual’s inner life. He says that over the course of the 18th century you get people no longer deriving their identities from their status in the community, which remained unchanged, and was the result of who their family were. Now people were creating an identity for themselves which could change depending on what they achieved in life. Consciously Austen’s letters are of the confidential and private type but they also witness a real valuing of the individual and personal; that’s why they exist in the first place, why she wrote so copiously. Further, she has a kind of confidential ms’s that is a substitute for public you can find by women in the early modern period; the polished fair copy. (Reiman does not think like a feminist and so doesn’t mention this at all). This is an ms by a woman of a book prepared to look like a published book, one in which the author really works hard as if she (or he) were publishing it because it will not be published, but the author does value the book and wants it to circulate. This is the state of Lady Susan and the Juvenilia. This is how I see the fair copy of Lady Susan and perhaps too the Juvenilia (less so because she carried on correcting them). Women did this because often they were not permitted to publish this or that particular work. Their writing was not valued. One of Anne Finch’s ms’s books begins as a polished confidential book which she later starts to use just as a another copy book into which she puts more poems as if the book were not polished, were partly private partly confidential. This is the ms today known as the Folger book (because it’s owned by the Folger Shakespeare library). It’s mostly in her husband Heneage’s hand. It has a preface, table of contents, is paginated and the first part beautifully copied out. Austen’s letters would be private and/or confidential; she did not mean them to circulate beyond her family and if she had yearnings to reach more people, this never surfaced consciously. Perhaps she was ambivalent too — and that can be seen in the way her brother, Frank, saved his 3 packets of letters, never destroyed them, kept them by him until his death and they were destroyed not by his generation or his youngest spinster daughter. Burney’s equivalent grand-niece published hers — to whom we are enormously grateful, for she also did not destroy the ms’s after she published her tiny selection of 6 volumes. Such books when they survive are today published in corrected polished forms — Chapman and then LeFaye’s edition of the letters; before them Brabourne (Austen’s great-nephew) who still regards them as owned by the family and reflective of the family status, not just Jane Austen’s. LeFaye seems to regard them as still belonging to and reflecting on Austen’s family. From Austen’s time we get many books by women intended for publication, half-written with the larger audience in mind: Anne Grant, Madame du Deffand, Graffigny, Lespinasse (so too the men like Pope’s letters). Yes they are doctored with the public in mind but then so are their fictional works or poems when they write them. Reiman thinks the way we should talk of the life-writing private and confidential works that we now publish is as as works reflective of the individual in his or her circle. We must take into account what they were meant to be, who for, what state they are in. What I like about all Reiman’s distinctions here, is he shows where Todd and Bree went wrong in their edition. 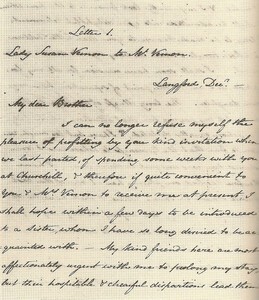 The letters they present as being a theory of Austen’s writing are confidential writing meant for Anna’s eyes or private writing just meant for Anna (see letter 76, a parody of a novel by Rachel Hunter, one of the authors published by Minerva Press, among whom Austen could not count herself). Thus whatever Austen said about Anna’s novel is shaped by Austen’s relationship with Anna and might not be what she would say about Anna’s novel were she to discuss it with a larger public or even the other relatives. She might not have thought as highly of it as she appears to. She is not on oath and we have the case of a letter to Anna where she appears to think so well of Anna just around Anna’s marriage, and Anna’s early housekeeping and in the next letter to Fanny we see this is not so; she does not want to visit Anna for real, she thinks Anna’s desires to fulfill herself in owning a playing a piano absurd or is out of sympathy with the very impulses that when she, Austen, had them she approved of. They do not separate the fair copy of Lady Susan from the worked upon papers of The Watsons & Sanditon; the three sets of ms’s are presented as a coherent group as if they amount to the same sort of thing. They do not. The two chapters of Persuasion are not included in the Later ms’s — as they should have been — and with the ms’s of The Watsons and Sanditon. 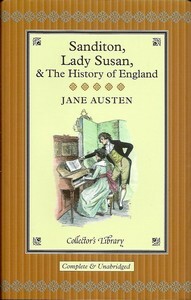 Lady Susan should have been published with the Juvenilia not as Juvenili, but as a book Jane Austen valued and prepared for a version of public dissemination. She half-wished she could publish them more widely but knew no one would(and her relatives would be horrified by any publication of the amoral witty monster-mother Lady Susan). The attitude towards the Juvenilia which publishes them as Jane Austen’s “handbasket” is wrong; she did value them but knew no one in her time would publish them so she did in this fair copy form. Right the paper and books are cheap stuff, but she was poor herself and it was all she had to put them in. Her relatives would not spend money for her to keep her books as fair copies as they had limited value for them. But the first work after James Edward Austen-Leigh published his memoir that he published was the untitled Lady Susan because instinctively he (and his sisters) recognized it as a ripe and ready work all set to show to others — I’d call it privately published, Jane Austen her own Vanity Press. I strongly recommend Reiman’s book. His final chapter is an angry one in a way: he inveighs against editors who do not at all think about what the ms’s they are publishing represents. Some become doctors of the works and try to improve them; others decide which version of a work they think is the best and publish that as the only or final one, sometimes an early ms. I am “guilty” of this in the case of Anne Finch for, like others, I think her earlier versions of her poems better than the later ones where she began to censor and modify what she wrote in terms of conventional ideas; in my section on her poems where I publish texts I consistently prefer the earlier text. Or editors become family friends — Deirdre LeFaye exemplifies this. The editor conceives of his or herself as an advocate of the family and produces an edition of the poetry which presents the family’s view of the poet. This is just how LeFaye sees herself, down to the notes she provides for the letters. Mary Shelley broke with this entirely in her edition of Shelley; if she had not, she would have destroyed many of his poems, censored others, and presented those that survived with very different prefaces. Reiman’s book would cover all authors and his opening section on pre-modern, pre-18th century is valuable even if short. If it’s added to Margaret Ezell’s Social Authorship and the Advent of print, it becomes an important brief primer on ms’s in the early period of European writing. Ezell brings the woman’s perspective I have in on this. Women’s ms’s differ from men’s as generally they were not allowed to publish at all and have been published by later generations with different perspectives than the individual’s, often in pathetically truncated forms. Another useful and informative book, an anthology on the early modern into 17th century world of ms’s: Arthur E. Marotti and Michael D. Bristol, Print, Manuscript, Performance: The changing relations of the media in early modern England. This last one is wonderful for bringing in the perspective of the net, and publication on websites, listservs and (dare I say?) blogs. I know about it because there’s an essay on Anne Murray Halket’s autobiography, a fragment of which survives and I made an etext of and have written two papers about which I published on the Net. Halkett represents a highly ambivalent woman: she writes a memoir in vindication of herself which she really wants to reach many people, but consciously it’s somewhere between private and confidential for she knows if it reached others it would be regarded as scandalous and all we now have is a fragment because some relative did find and destroy most of what she wrote. See Jane Austen letters archive; also my study of the timelines in Austen and chronology of the novels: Time in Jane Austen. P.S. Some people online regard writing to small listservs as confidential communication. As a list-moderator I’ve been asked more than once to make sure the listserv postings are kept closed except to members. I do not think this is useful. Anyone can join the listserv at any time. I regard blogs as a form of listserv where I put postings I mean as confidential as well as public. Often people look at me as strange because I just put my polished work I could try to publish in conventional books on the Net; I must have some ultimate motive beyond trying to reach people. I suppose I do but it’s not money or promotion. I did hope at one time someone might be attracted to the Colonna poetry and want to publish it in a book, but I’ve learnt that that was very naive of me, showing that I had no idea why and how most books are published, usually the result of social relationships combining with desire for money or prestige of some sort when not promotion and advancement. My putting my writing on the Net the way I do, on my website particularly is the equivalent of Austen’s writing out a fair copy of Lady Susan and letting it circulate that way as far as she was allowed. I am circulating my work as far as I am able and putting into print (as in facebook where friends of friends read one another’s writing) the context too. I’m breaking strict chronology at this point (see letter 70) because I’ve been asked to review The Later Manuscripts, ed. Janet Todd and Linda Bree, a final volume of Austen’s texts in the Cambridge Edition of the Works of Jane Austen, gen. ed. 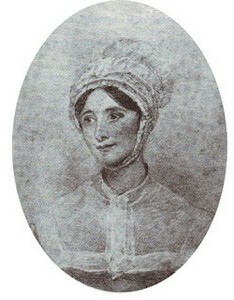 Janet Todd, and have come to that part of the volume where the editors print five and the postscript to a sixth letter (Letter 103) from Jane Austen to one of her two closest nieces, Anna Austen Lefroy (oldest daughter of Austen’s older brother, James, by his first wife, Anne Matthew [died 1795]). There are altogether sixteen extant letters from Austen to Anna, and of the five “whole” selections Todd and Bree make (where they take the complete text as far as we can guess), one is a letter cut off after an initial single paragraph (Letter 113). This is, in other words, a series of scraps taken from a remnant of censored letters, on the supposition they give Jane Austen’s “theory of fiction.” They do not because 1) Jane Austen had no consistent worked-out theory of fiction: she talks only of her attitudes towards her heroines (usually some version of qualified fondness), strict literal verisimilitude and the actual literal situations she likes to delve (“3 or 4 Families in a Country Village”); and 2) if you want to argue she did have one, no matter how unconscious, what you need to do is bring all her letters together which bring up or discuss fiction, especially her own; these are many and must include the one to her nephew, James Edward Austen-Leigh (Letter 142). This section of their book may best be read as a half-hearted attempt to present Jane Austen’s relationship with her niece who was possibly potentially as gifted as she but never developed these gifts. Letter 76, which I begin with here, is a parody ridiculing a minor novel Austen, her sister, and Anna, had been reading aloud to one another, Rachel Hunter’s Margiana; or, Widdrington Tower (1808, Minerva Head Press). See later correction and blog: the novel in question was Lady Maclairn, or The Victim of Villany. The others are about the first novel Anna attempted, which she first called Enthusiasm, but changed to Which is the Heroine, and destroyed one night by casting it into the fire on her hearth in the later 1820s. In their notes they include (as LeFaye does not) all the comments of Anna’s third daughter, Fanny Caroline Lefroy about how much the novel meant to her mother, how she tried to finish Sanditon, Anna’s intense depression in the her later 20s and her destruction of her this item she had been so proud of, cherished. Proud because Jane Austen had taken it seriously, liked it. 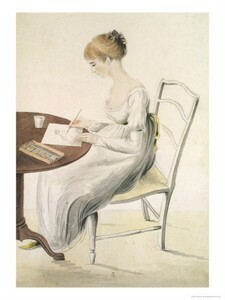 As her daughter, Fanny Caroline Lefroy laments, if her mother had not destroyed what she had written in a moment of self-rejecting despair (and loneliness for her aunt too), Jane Austen’s letters would mean more and we would have a much better understanding of Anna’s talents (perhaps a novel worth reading). The section is followed by the playlet, Sir Charles Grandison, which was probably written by Anna in her girlhood and corrected (polished, improved) by her aunt. Since their book includes both a modern printing of Sanditon, and a diplomatic transcript of the manuscript, all one needs to do is read the other 9 letters, Mary Gaither Marshall’s edition of Anna’s continuation of Sanditon, which includes Anna’s Reminiscences of her aunt, and Anna’s three extant novellas, Mary Hamilton (1833), The Winter’s Tale (1841) and Springtide (1842), and cobble together from the various Jane Austen biographical books what is known of Anna’s life and documents by and about her (including her sister, Caroline’s truthful account of Anna’s bleak sad wedding to Benjamin Lefroy), and a relevant life and person to Jane Austen’s oeuvre is before you. I am not in a position to reach the three novellas (though I will try what I can do in my local Library Of Congress and Folger Library and through interlibrary loan), but I will here in the next few blogs present the rest. This first blog is presents and reads first of the letters as printed by LeFaye, the ridiculing “fun” of Rachel Hunter’s historical fiction, apparently a cross between a gothic and sentimental text. I’ll then go on to offer a brief life of Anna, and then the five other texts in Todd and Bree, with an account of the nine further texts in LeFaye’s fourth edition of the letters. These can form a preface to the second half of the remnant of Jane Austen’s letter that is left to us, those which contain what is left of her explicit comments on her novels while preparing them for publication, writing and revising the best known six. Miss Jane Austen begs her best thanks may be conveyed to Mrs Hunter of Norwich for the Threadpaper which she has been so kind as to send her by Mr Austen, & which will be always very valuable on account of the spirited sketches (made it is supposed by Nicholson or Glover) of the most interesting spots, Tarefield Hall, the Mill, & above all the Tomb of Howard’s wife, of the faithful representation of which Miss Jane Austen is undoubtedly a good judge having spent so many summers at Tarefield Abbei the delighted guest of the worthy Mrs Wilson. [It is impossible for any likeness to be more complete. Miss Jane Austen’s tears have flowed over each sweet sketch in such a way as would do Mrs Hunter’s heart good to see; if Mrs Hunter could understand all Miss Jane Austen’s interest in the subject she would certainly have the kindness to publish at least 4 vols more about the Flint family, & especially would give many fresh particulars on that part of it which Mr, H. has hitherto handled too briefly; viz, the history of Mary Flint’s marriage with Howard. 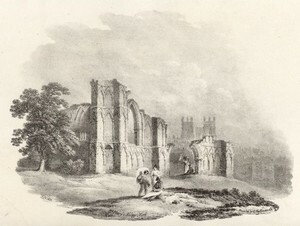 Miss Jane Austen cannot close this small epitome of the miniature abridgment of her thanks & admiration without expressing her sincere hope that Mrs Hunter is provided at Norwich with a more safe conveyance to London than Alton can now boast, as the Car of Frankenstein which was the pride of that Town was overturned in the last 10 days. There is a brief but descriptive enough account of either this novel or one very like it in M. H. Dobbs, “Margian: Name of Author Wanted,” Notes and Queries, 7, Series 11 (1913):233-34. A brief account of the major characters, plot-turns and quality — it’s a historical novel which grounds history in Shakespeare, with gothic motifs and a sentimental courtship plot. 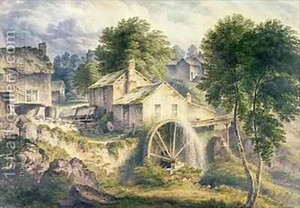 Dobbs is someone who appears prima facie to think little of women’s novels; he (or she writing from a man’s point of view which she’s imbibed) he opens by assuming this one is by a woman and yet Dobbs grants the novel is a semi-serious attempt to write historical fiction and says there is genuine feeling in it. 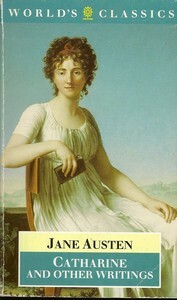 In her account of this novel in her Reminiscences, Anna says Hunter repeated the same story of the character several times: perhaps this was done from the different characters’ point of view. 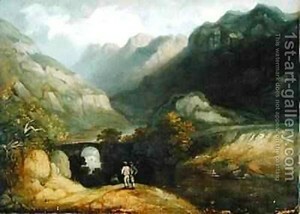 Anna also tells Edward that the letter shows their aunt’s tendency to “ridicule:” thus she alludes two landscape artists in ways meant to stigmatize Hunter’s Abbey pictures: they are, Jane implies, verbal recreations of images such as Mrs Hunter might have seen in local books or places she visited. 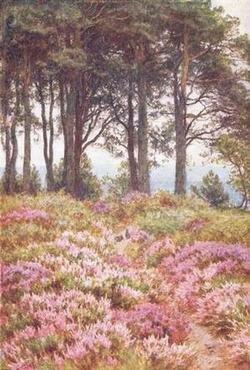 Austen is not only up on what is popular; she here distinguishes between what’s high status, prestigious (say an original oil or watercolor by a famous name you’d have to pay a good deal of money to if you wanted one of his or her pictures) and what’s popular, readily available to anyone who can get to the circulating library. 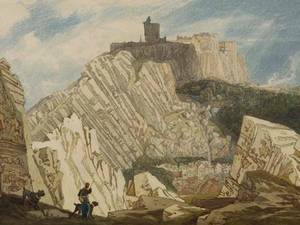 In an earlier letter (55, 30 Jun-1 July 1808) we saw her half-mock William Hodges’s painting of Hasting’s second wife (only half, because it was Hastings, Eliza’s biological father, an important possible dispenser of patronage to the Austen family). 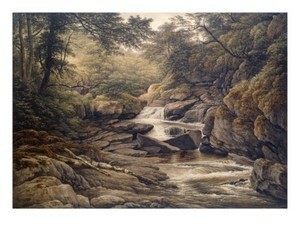 Hodges are similar works: very pleasing Anglo-picturesque landscapes. The letter is undated but after a careful study of the group of letters to Anna, especially those just before and around Anna’s wedding, LeFaye concluded these are the closest dates we have. Anna’s letters are in a parlous state, in versions she herself may have censored, I suggest because it was too painful to her later in life to realize her aunt had sometimes made fun of her or talked of her desires for say a pianoforte just after she married in hostile terms to her cousin, Fanny, very different from the way Austen had talked to her. (See LeFaye, “Jane Austen: Some Letters Redated,” Notes and Queries, 34:4 n.s. (1987):478-81. Jane Austen’s most common reaction to most of those novels she mentions in her letters is hostile ridicule: to put the matter plainly. In part all these inferior texts get into print and hers has not, or in this case, gotten into print after ceaseless revision and paying for it. The exceptions are writers with strong prestige (Scott), who write didactically (Edgeworth, Genlis most of the time) or whose fictions resemble hers (but only if they have a name, so Burney is respected even if mocked, but Mary Brunton is not). 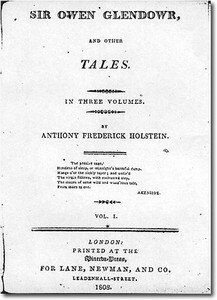 Still since the letter is dated dated October 1812, after the publication of Sense and Sensibility Jane Austen has had a real success d’estime — though the transcendent success of her archetypal romance (as it emerged from her cutting), Pride and Prejudice was not to come until after Jan 1813 (date of publication). Austen specifically mocks the sentimental presentation of the servants in the novel, Mr and Mrs Wilson. I note that she had a hero named Howard who was a relatively poor tutor and we are told managed to escape the pursuit of Lady Osborne (suggesting a kind of Joseph Andrews plot unless a mistake was made in transmission and Jane told Cassandra Miss Osborne was to pursue Mr Howard). The connection of the names, Hunter having used the same one, may suggest why Miss Austen has this special interest in Mr Howard. Proprietary. The interest here is this suggests that Austen had not given up on The Watsons; she still considered the characters in that novel living creations that were hers and she intended to return to. The reference to the Car of Frankenstein and number of miles between Alton and Norwich is not entirely nonsense — as the family liked to call much that Austen kidded about. In fact in one of Austen’s letters to Anna Austen (as we shall see) reveals an important part of her conscious method was to make sure she stayed within calendar and time and space limitations that exist in real life. From Dobbs’s account and Austen’s reaction, it’s plain Hunter does not go carefully into such minutiae; Hunter does not care if she actually saw something happen or was in a place: one cannot be after all in a historical novel. Nor does she realize how important such control of time (slowing down) and felt space are in creating subjective time that draws the reader in — and thus instinctively, intuitively important to Austen. Austen herself thinks of this only as probability, a guard to make sure novels are not made fun of; we must turn to Anna Barbauld for a realization of a novel’s creation of a subjective consciousness. I admire the Sagacity & Taste of Charlotte Williams. Those dark eyes always judge well. — I will compliment her, by naming a heroine after her. It’s interesting that the name Frankenstein was perhaps already a stereotypoc name for gothic well before Mary Shelley’s book — or is this name prophetic? The tendency is to think of Austen has having two nieces, and to put all the emphasis and interest on Fanny Austen Knight. It does seem as if for a time Jane Austen much preferred Fanny to Anna; but the letters to Fanny about marriage (often discussed and reprinted) show Jane at a distance looking at Fanny clinically (as we shall see when we get there). Alas, the movie Gweneth Hughes and Anne Pivcevic’s Miss Austen Regrets will solidify this erasure. Anna it was who grew up with the aunts when her father remarried, Anna was there to witness the first writing of Pride and Prejudice, Anna again lived near Austen at Chawton: Unlike Fanny, Anna had the brains, sensitivity, interest in her aunt’s fiction; she and her half-brother and half-sister, Caroline, inherited much from James the father and were responnsible for the important (even if wrong-headed) indispensable first memoir. Not only that but there were three nieces and one who really did have career: Catherine Anne Hubback. Arguably it was Anna’s jealousy of her younger cousin, Catherine, and desire to forestall any publications by Catherine about their aunt, that led Anna to encourage and help James Edward Austen-Leigh in his biography of their aunt — Anna mentions more than once in irritated resentful terms that Catherine wrote The Younger Sister from a manuscript (it’s actually rather from memory). Catherine Anne Hubback helped support herself and family by writing (Victorian) novels when her husband had a nervous breakdown and was institutionalized; she published nine more novels after The Younger Sister (important for what it reveals about Austen’s The Watsons), among them the readable The Wife’s Sister, The Rival Suitors, and Agnes Milbourne, a story dealing with a young girl’s dilemma over the conflicting claims of the Episcopalian and the Presbyterian church and her most popular work of fiction. I hope to write blogs on Catherine Hubback’s Younger Sister as well as Fanny Austen Knight when the appropriate time in the letters provides. Next up, the second letter to Anna printed in Todd and Bree’s Later Manuscripts. I’ve been asked to review a volume called The Later Manuscripts in the series called The Cambridge Edition of Jane Austen, this one edited by Janet Todd and Linda Bree, and it has set me thinking, returning to my project on Austen’s calendars where I tried to reach her work in ways so fundamental that I would enter her process of writing itself. The first aspect of this is to try to decide when a particular text was written and how valuable it is. You cannot avoid this, and if you try, you end up with a book that doesn’t make much sense. The problem is the evidence is so contradictory, even for the Juvenilia where we have dated fair copies in Austen’s hand copied into books by 1793 and then revised a little and annotated at a much later time than they were originally written (25 years). One problem is they are over-framed by Cassandra who for example took Volume I dedicated to Martha, and wrote on the first page it was for Frank; or the two dedicated to Eliza de Feuillide (the last name dates the inscription) and wrote this was for Charles. Despite concerted efforts too, these are not popular works — or publishers don’t believe they would be and the editions of all of them in partial and different configurations are still not that uncommon. Books of criticism on them fall out of print too. 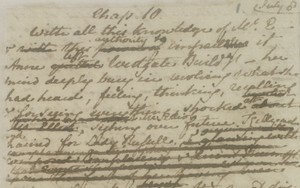 As to studying Austen’s revision technique, the ones that tells a lot are the ones with corrections (foul copies): The Watsons, Sanditon, the cancelled chapters of Persuasion. Unpublished writing includes her letters. I’d exempt NA and Persuasion even if not published by her, as they are so clearly written for publication and were published almost immediately after her death — though there too we have the problem of the title. Titles tell a lot and if these were not the titles Austen would really have chosen, they mis-frame the book. There is no reason to call The Watsons The Watsons; family tradition had it as The Younger Sister (Austen was a younger sister), Sanditon is similarly said to have been meant to become The Brothers. 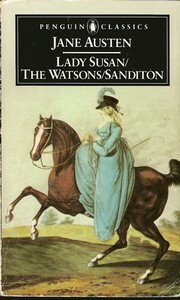 Lady Susan remained (resolutely?) untitled. That Austen was immanent, not a planner is a central point made by Sutherland (and others before) to be kept in mind. Another question: how are we to understand the survival of the two cancelled chapters of Persuasion. There were three large manuscripts in 1799 — First Impressions, Elinor and Marianne (or Sense and Sensibility) and Susan (?). There were also manuscripts of the juvenilia which include Catherine or the Bower. All that survives are fair copies of the Juvenilia in three volumes, copied out by 1793 and added to and revised slightly many years later; there is writing in it from 1811 and (by JEAL) 1817. There is the “foul” copy of a remarkably frank, bleak novel very much reflecting the milieus Austen was experiencing in Bath and her father had experienced as a boy (now called The Watsons but a tradition has it it was The Younger Sister). 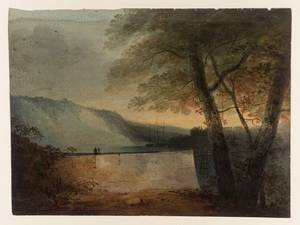 A worked on copy suddenly given up and not copied out into a fair copy but not destroyed; it cannot have been written before 1803 as that is the watermark of the paper and was probably set aside 1805-7. A fully detailed and worked out story, almost as full in implication as Persuasion. There is a fair copy of an untitled epistolary novel (Lady Susan) of the type we have for Juvenilia, but by a mature hand. 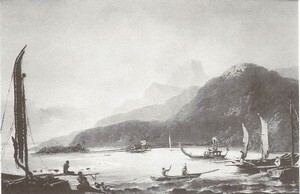 1805-9. It reminds me of how Renaissance women sometimes copied out their letters and life-writing as pretend books. They could not publish them so they did the next best thing; they made a private book that they could circulate among a small group of people and this untitled epistolary novel did so circulate. There is another worked on draft that feels like wild as if it were a first time through, but it has chapter divisions and careful study shows it must have been revised while she went along (little by little, sticking in new cut out papers and discarding previous using pins to do this; and this ms is dated, Jan through March 1817. And these cancelled chapters — foul papers. 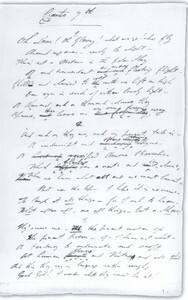 Ms’s of poems, of Sir Charles Grandison (attribution questioned), of two prayers (attribution questioned) and various letters. We should not forget that NA & Persuasion were not published in JA’s lifetime. She put NA on the shelf as not satisfactory and Persuasion is unfinished, a truncated hastily ended book. I believe she was sick by the time she started it and knew it — had a deep hunch about this illness even if this only came to the surface around the time of Henry’s bankruptcy. But since they exist only in published copies and were published so soon after, we have to go with tradition. Their anomalous state though is indicative and common in womens’ writing. The question that puzzles me is what happened to the fair copies of the first three: FI which Cassandra and Martha had by heart; if E&M was revised into S&S from the letter to Crosby I do find that each time a fair copy would be made. Why throw out the original? She had a foul copy of Susan when she wrote to Crosby and was prepared to make another fair one. Is it that people really didn’t value these things? I know any copy in the later 17th and early 18th century that went to a printer was usually destroyed in the process, but about a hundred years later Trollope saved the foul copies and fair copies of several of his novels. We are going to have another Duke’s Children, more than a 1/4 more long because Trollope saved the original Duke’s Children. We have a whole The Way We Live Nwo and (even if others ignore it) it tells a tale expected to me: of revision, of uses of a calendar, of a only partly planned novel: he was partly immanent in the way of Austen. Tradition has it Rose, his wife, prepared the fair copies but we do not know that by anyhing either of them said or wrote down. We assume it from hearsay. Is it that in revising the three Steventon (P&P, S&S, NA) novels, Austen so used up the writing in the fair copies re-arranged, crossed-out, changed, and then sent a fair copy just to the printer so had nothing left? would she have trusted to that? I do think the way Austen’s ms’s are printed shows we don’t value them much either as they are scattered with cancelled chapters of Persuasion going with Persuasion (and no diplomatic transcript). I value ms’s from my studies of the Renaissance and Anne Finch: before the later 17th century much that is studied was unpublished and the reality is that when publication started again and women were left out, it was a deliberate choice by 20th century scholars as neither Mary Lady Wroth or Donne were published in their lifetimes. Also from my studies of women’s life writings and poetry I know how much is destroyed before it’s put into print and how precious it can be to see the ms’s, how much really can be gleaned if you have corrections, torn pages, watermarks or simply a huge books (Elizabeth Grant Smith as Highland Lady is only now seen to be the masterpiece it is). Actress’s memoirs come in here — though from what I gather ms’s didn’t survive; what was written really was meant to be published as opposed to Renaissance and 17th century women who could revel in non-publishing. That is not gone. 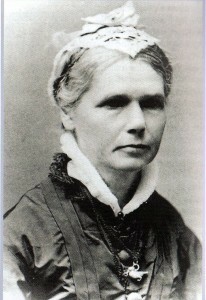 Burney would not have begun to write what she did had she thought her journals would be published for sure or in her lifetime. Ditto Boswell. Last for tonight: the question of the actual shape of Austen’s texts as she conceived them. From my study of Trollope I know this matters, an established author like Trollope could and did insist the shape he intended for his novels be observed by his publishers for the first editions. After that he gave up. He knew it was hopeless; that’s one reason why he took a fee outright and didn’t try to keep his copyrights to make more money later. He just commanded as large a fee as he could wrest, and then after seeing through the first edition (with its illustrations) really did dismiss the forms his novels appeared in from his mind. He understood he had yielded control. Since the purpose of printing Austen’s novels from the publisher’s point of view was to make money from them, and the price of such books in this period rather high (something like 5 to 8 shillings a volume), the publishers early on wanted 3 to 5 volume books. The formula which made Mudie’s so rich and thus its authors, was the renting of 3 volume sets for a couple of years before the cheap one volume editions came out. Marilyn Butler in what I think is a poorly thought out address to the British Jane Austen Society brings up this issue and comes up with divisions she says Austen meant for which she has no proof, but worse yet (as there is no criticism from Austen discussing this except in the case of P&P — see below) is impressionistic; however, her address is useful because she brings up the issue. How do the novels as we see them relate to underlying structures in the books. Did Austen have a 2 volume design in mind or a 3 volume one? With no evidence, Butler has Austen as lady-like wanting a 2 volume structure (she is ever determined to present Austen as elite and obeying whatever conventions Butler sees) and not caring about the money. 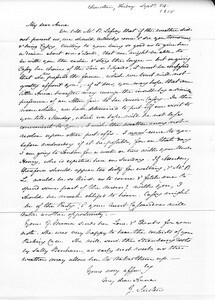 We know from Austen’s letters in Bath, she cared about money intensely; she may not have been the businesswoman Jan Fergus imagines (Her letter to Crosby is not well thought out and by being so abrupt and open she leaves him the opportunity to bite back – she has not learned negotiation means obfuscation.) But she wanted to make money from her books if she could. On the other hand, as an immanent writer, she did let them become themselves. My sense is she had both divisions in mind: two volumes with two parts (the way Inchbald’s novels work) or three as that was a growing convention (you see this in Romance of the Forest) with Austen showing her awareness of his when she makes fun of the 276 page volume (and many were, the Romance of the Forest in the 1797 edition is 276 pages for the first volume). I went over the divisions as I think this too is way to try to reach the novels before publication. The thinking here is akin to what I did for my calendars: geologizing I call it. If you divided Sense and Sensibility into 2 volumes, the second at Chapter 25, would begin with Elinor and Marianne with Mrs Jennings on their way to London. Nevertheless, I’ve thought that the present volume 1 ending with Elinor’s great shock at Lucy’s revelation and Volume 2 ending with Lucy’s triumphant invitation to stay with Fanny and John Dashwood and opening with the revelation of the engagement is the right turn — are correct (so to speak). I like both, both seem shapely, and could be codas in the films. We have it in a letter Austen was dissatisfied w/the divisions of P&P as printed (after she lopped and chopped remember so she had ruined her own desig)n. She writes “The 2nd volume is shorter than I cd wish — but the difference is not so much in reality as in look, there being a larger proportion of Narrative in that Part” (letter 29 January 1813) I’ve always thought that the third volume begins at the right spot: Elizabeth on her way in the carriage to Pemberley with Mr and Mrs Gardiner, Chapter 43. Remarkable numbers of symmetries in this book. A thoroughly worked up book and has lost little of its original richness, just the ironies of juxtaposition (I use just ironically here). 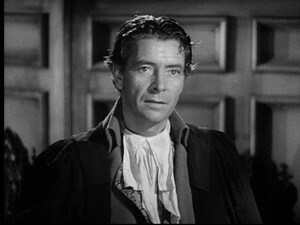 Davies follows the three volume division of Austen in his breaks in his 1995 adaptation. MP (also rich awareness of social world and goes beyond the immediate and seen) and Emma (ditto though it does not go beyond immediate and seen) virtuoso performances. So how does their present division into 3 stand up? 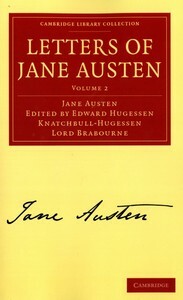 Butler argues that MP intended to be 2 volumes, the first ending with Maria’s wedding, so Chapter 21 ends Volume I; but that makes top heavy Volume 2 (of 25 chapters), and using 18 as the end of Volume I gives us the climactic coming of Sir thomas and break-up of the play; the present opening of Volume 3 doesn’t make a lot of sense as it’s in the midst of Mr Crawford’s courtship, Chapter 32 though it must be admitted then Volume 2 ends on Mary Crawford’s note to Fanny to take Henry seriously and welcome to Fanny as a sister-in-law. Half way simply done would be 24 and that makes sense too as it ends on Wm being promoted and the beginning of a new phase of existence at Northamptonshire with Fanny and Sir Thomas as guiding spirits. I rather think the book may be divided many ways as it’s so strong in its phases. There are subdivisions, as the sequence at Sotherton, the sequence about the play, and at the end the semi-epistolary novel. Frank Churchill but he has not yet arrived; the real ending of this volume is 17 when Emma goes to tell Harriet that Mr Elton loves her, the Knightley brother and sister (John and Isabella) and Mr Elton all leave but then the point of chapter 17 is that Frank did not come. Volume 2 presently ends with Chapter 36, with news of Frank Churchill’s return and amused dialogue of Mr Knightley and Emma where Emma demands to know what exactly has her dissipation been. I do not doubt the division here is just like Henry’s of NA; Jane or the publisher divided the manuscript into 3 equal parts, 18, 35 with the conclusion Chapter 61. Instead divisions can be made with seasonal calendar and punctuated high points (Tuesdays at work here). Davies’s idea does cohere with seasonal calendar in the book. Book has back story told by narrator: I:2 the history of the Churchills; 3:2, opening poignant romance of Fairfax family [very like Chapter 4 of Persuasion, the poignant story of the failed engagement of Francis Wentworth and Anne Elliot). This reminds me of the way Anna Austen Lefroy wrote out an unattached history of Clara Brereton for Sanditon. Maybe she saw Austen’s manuscripts in stages where these separated back stories were still not woven (pinned?) in. If you divided Northanger Abbey into three equal parts, it would make more sense: Vol 1, chs-10. Chapter 11 has Catherine getting seriously involved and stood up by Thorpes and slowly choosing Tilneys, at the end of which the climax is Isabella’s gross behavior at the assembly ball; Ch 20, begins the trip to Northanger. The present arrangement has several chapters in Bath hanging on as an afterthought when a new volume begins and Northanger visit starts at Chapter 20. Persuasion as presently divided doesn’t make sense either. This suggests how unfinished it is. The present text is 24 chapters and half way is 12. Henry did the simplest thing: divided it in 2. But 12 is the middle of Anne’s time at Upper Cross — though against that it is the moment that Captain Wentworth returns to Lyme. Chapter 9 (after Anne’s tremendous anxiety, the first meeting of 8, the heart break of his coldness) of Wentworth come to stay, and 16 and 17 are simply in the middle of the Bath time. That there is no good division into a shapely narrative is due to its originally planned for 3 and the size of S&S or P&P. There is no division in the hard-worked thoroughly detailed The Watsons, yet the impulsive draft (not a first draft I now think but not worked out in the detail of The Watsons), she is dividing into chapters as she goes. So too the foul papers type draft of the cancelled chapters of Persuasion. So there was no consistency. The fair copies of Love and Freindship and Lady Susan don’t help us here as they are epistolary and epistolary novels when not just chunks of 1st person narratives cut up have to have beginnings and ends in order to interact with the other letters ironically and as to time. If authors could, they would control the shaping of their books in the last phases of revision and presentation to the editor and/or publisher. I am trying to get beneath or beyond the printed phases which fit publisher’s needs for profits (so much a volume for example) to what the author intended or wrote at any rate. I am trying to understand what the manuscripts were.